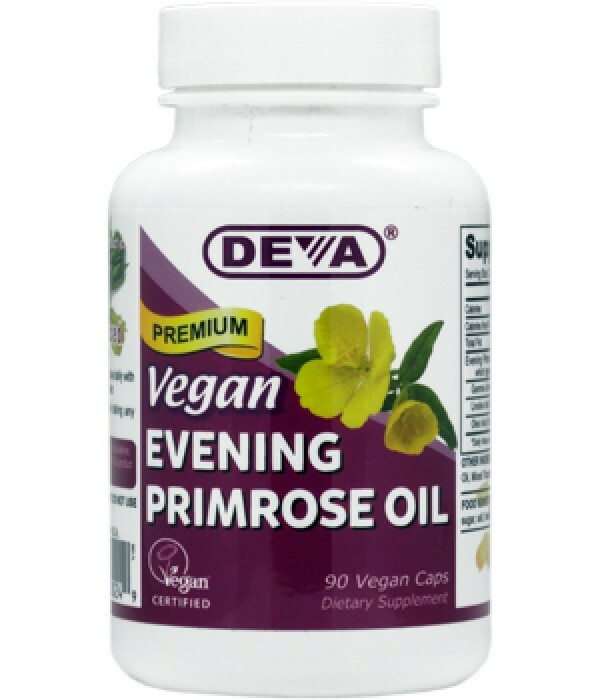 Vegan / Vegetarian Evening Primrose Oil, Cold Pressed, Unrefined. DEVA Evening Primrose Oil is 100% animal free, and guaranteed for purity, freshness and labeled potency. Remember all DEVA Products are 100% vegan, vegetarian and are registered with the Vegan Society, the non-profit organization that actually invented the word "vegan"
For adults, take one (2) capsules daily with food or as directed by a health care professional. Int J Cosmet Sci. 2005 Aug;27(4):243-9. Holist Nurs Pract. 2008 May-Jun;22(3):171-4.